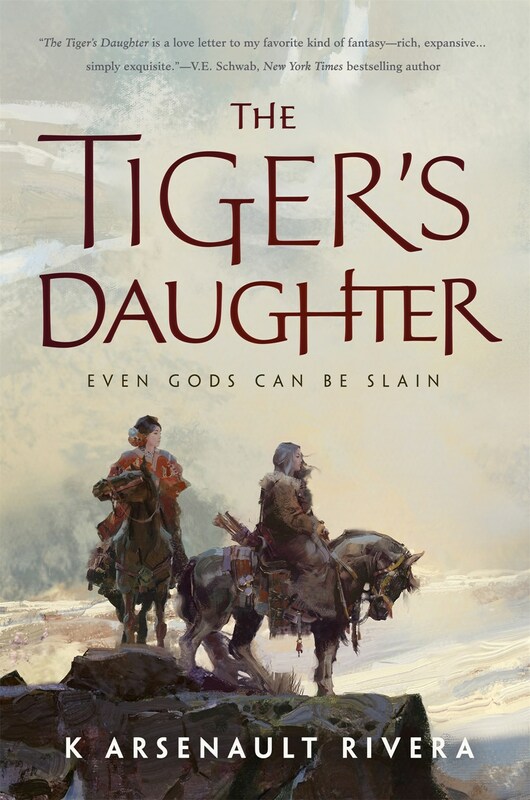 The Tiger’s Daughter is a book that has been on my radar for a while, described as a “Mongolian-inspired historical fantasy novel” with influences from the author’s love of tabletop gaming. I was excited to see it has such a stunning cover to go with it. “Even gods can be slain…. Oh a new one to me! Ooh nice pick! Totally new to me one here! Hope you enjoy it once you read it! Great pick – I can honestly say I haven’t come across this one before. Yep. Never seen it and now I want it. Though how tabletop gaming comes into play I am not sure I understand. Not sure either, I just caught that bit in the author’s bio and thought it was pretty cool. It’ll be interesting to see how that plays into it. I haven’t read a lot of epic fantasy, but do like the fantasy genre quite a bit. There’s something about covers like these those that really catch my attention and want me to add them to my shelves. I’ll probably wait to see a few reviews but this might be one I decide to tackle. Yes, I am such a cover whore that a book with a beautiful cover like that can make my NEEEEED for it even stronger. It really is gorgeous, I just love the art style and the whole composition of the image. I just saw this cover somewhere and I agree, it sounds really good. Plus I just noticed how much beautiful detail there is in the cover art. Yeah, it evokes the perfect kind of feeling. Together with the book’s description, it just screams epic. Mogsy… for the love of whatever limited bookshelf space I have left, please stop recommending books that sound so awesome. Where do you even find these books?! I think most of the SF/F books I’ve added to my TBR in the last year have come from The BiblioSanctum. LOL! I bit of a wait for this one but well worth it. It sound like my cup of tea.